With the favourite Miss Vista finishing out of the money in the Ladbrokes 55 second Challenge heat on Friday night it was left to speedy Snitzel mare Modern Wonder to claim victory. A stakes-winner on debut at two and then Group III placed last season at three, the Leon and Troy Corstens trained mare was fit and ready to fire at her third run back from a spell. She stalked the leaders from gate one for Ben Melham and surged clear to win the 955 metre dash by three quarters of a length. A $175,000 Magic Millions purchase from the Mill Park draft for Malua Bloodstock/ Bahen Bloodstock, Modern Wonder has two wins and four placings from 11 starts with prizemoney topping $160,000. Bred by Mill Park and partners, Modern Wonder is from the stakes-placed winner Elusive Wonder, a half-sister by Elusive Quality (USA) to stakes-winner Tantra and to the dam of stakes-winner Oak Park. 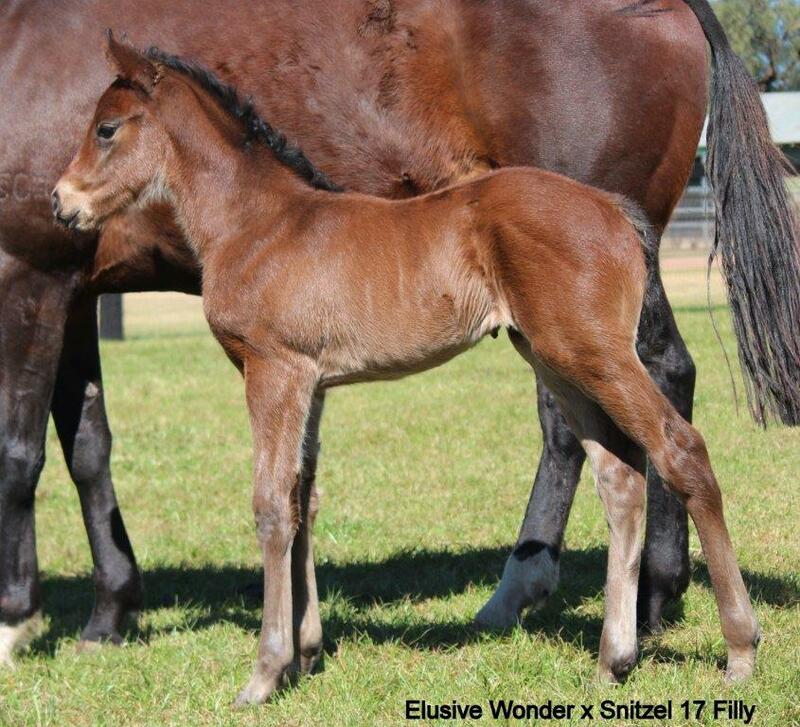 Elusive Wonder has a yearling filly by I Am Invincible and has foaled this spring producing another filly (pictured below) by Modern Wonder’s sire Snitzel.